One doesn’t really need an excuse to spend a weekend in Pamplona …. a beautiful place and good food …. and this time my friend Badi Assad performing as well and as I hadn’t seen her for a while, we took a bunch of friends a went together to enjoy the music and the city – and both rewarded us with their best! Badi’s solo performances are amazing – she not only is a great guitar player (which obviously runs in the family with the Brothers Assad her actual brothers…), but she is an inventive and amazing singer and her vocal acrobatics are unparalleled, but never simply for the effect, but in support of her music. Any chance to see and hear her – go and enjoy her Brazilian flavoured compositions and stylish musical performance. 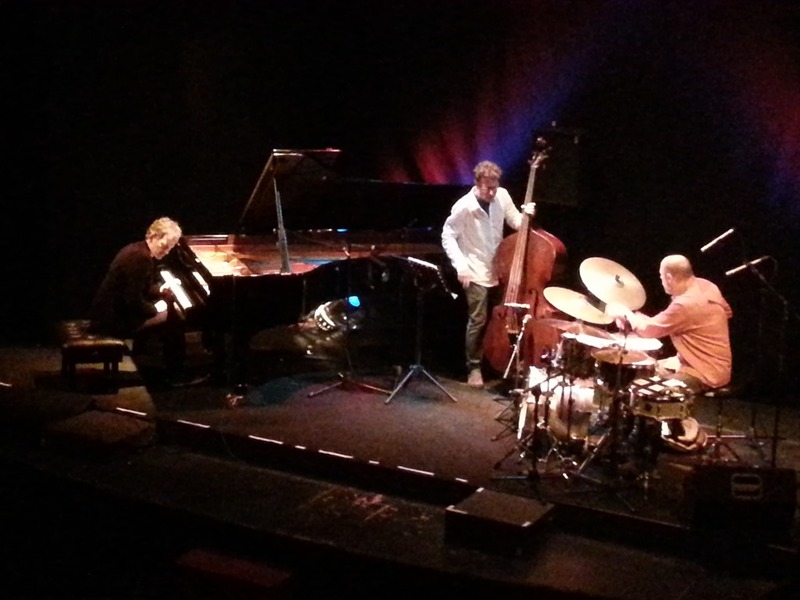 The Brad Mehldau Trio at Teatro Lara in Madrid was one of the best shows in a while to hear – this is one of the best and tightest bands in jazz nowadays – the communication while playing is on a level only few groups now can achieve and Brad and Larry Grenadier and Jeff Ballard are all masters in their own right and therefore can take the music to places and levels unknown … Mehldau’s touch and lyricism are unmatched and the support he gets from Larry and Jeff gives him the freedom to improvise and play with the themes and tunes in any form he wants … and how he does !! A full house, with many familiar faces from the artists community in Madrid, gave them a deserved standing ovation. 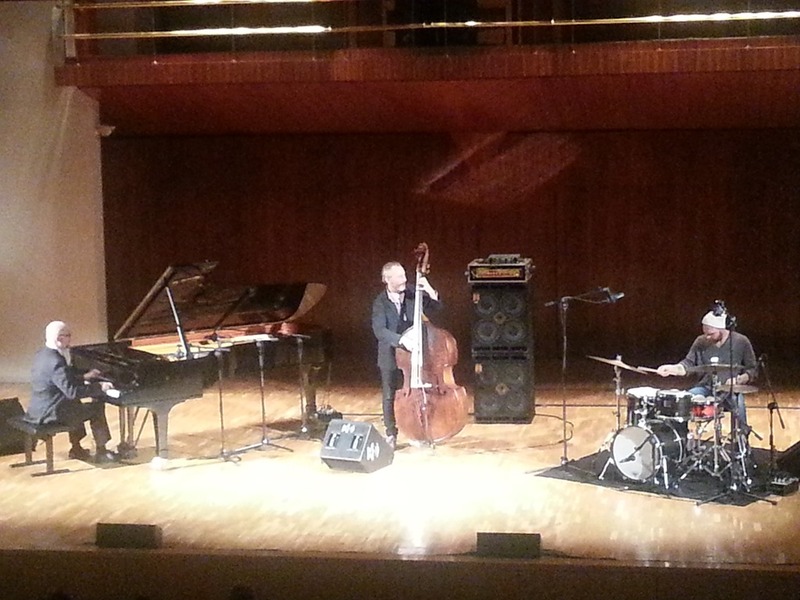 A week later another trio and another top one: The Bad Plus. They just released a new album – The Rite of Spring and their version is full of power and amazingly close to the original music and its emotional content. Unfortunately, because of some problems with the original Publisher of the work, they are not allowed to perform the piece in concert in Europe and therefore played music from their previous record Made Possible and some new pieces, to be released on a new jazz album in October – and pretty amazing it was! What a powerful trio they are- driven by Dave King’s thunderous play, that often drifts into a delicate groove and Reid Anderson’s grounded bass and Ethan Iverson’s inventiveness on the piano – and some of the compositions are truly amazing – like Pound for Pound from the album Made Possible – incredible how they are using the space and stretch the little melody …. I am sure looking forward to the new record, as some of the music was simply outstanding. 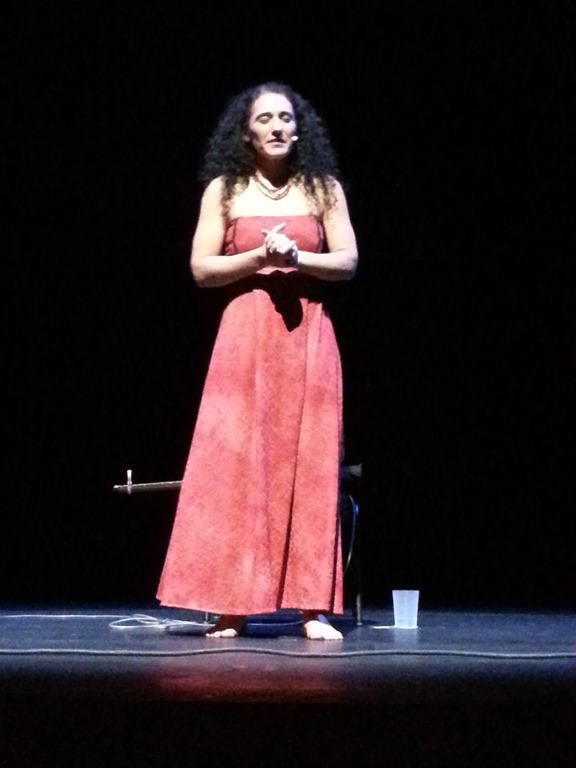 Before the untimely passing of Paco de Lucia, which shocked the music world, I did go out and saw a few concerts, which I enjoyed and now want to write about, as well as some new CD’s which I heard recently. 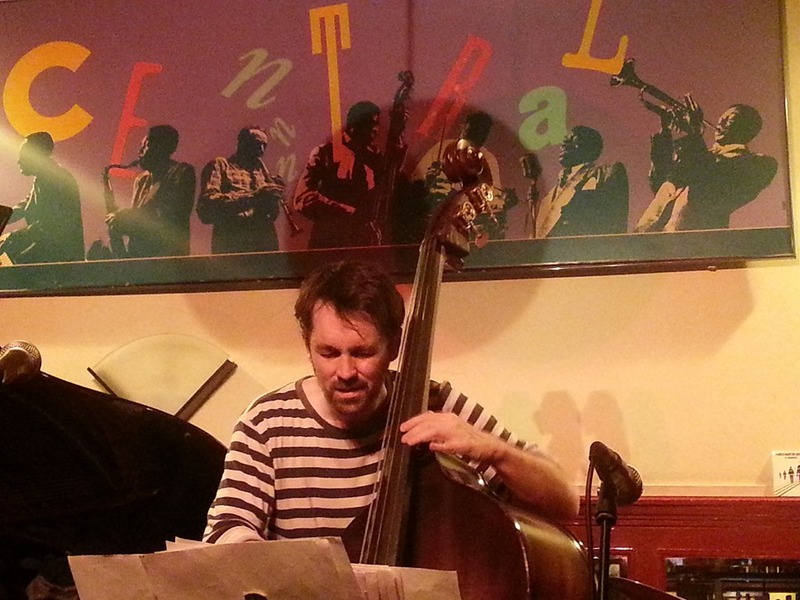 Bassist Pablo Martin performed in the famous Cafe Central in Madrid with his new band, presenting new music for his next album, which is another great blend of jazz and flamenco, as the excellent ‘El Caminero’. The new, yet mostly untitled compositions have gorgeous themes and great grooves, based on flamenco rhythms, the band played these new songs perfectly, especially amazing the pianist Moises P. Sanchez, who filled in, supported and played his soli on the highest level of improvisation. Surely an album worth waiting for. 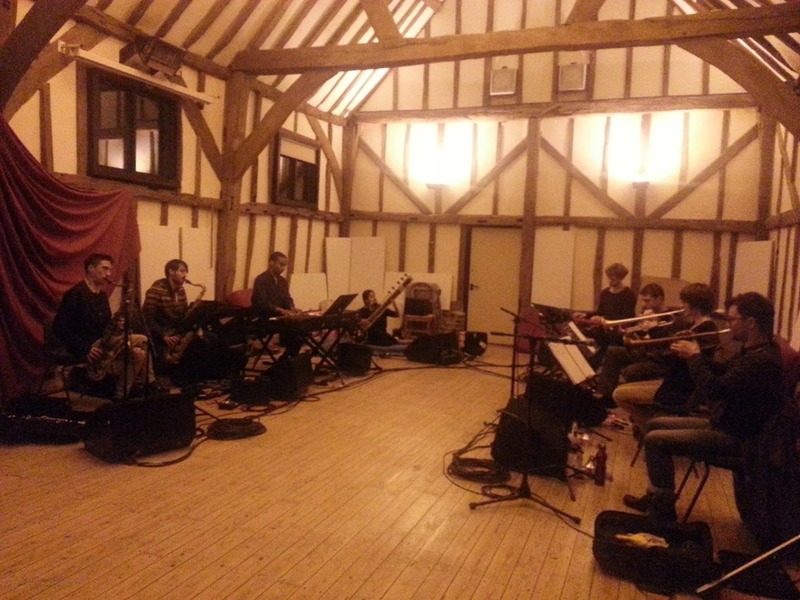 Alex Roth, Shama Rahman, Laura Jurd, James Mainwaring, Peter Edwards,Dan Nicholls, Nick Malcolm and George Crowley. For me surprising how clear each of them had an idea of what would be there next career step and beyond – what the vision was for their music and how to present it. Very refreshing to see for young musicians like these and a joy to listen to them as well, when they performed their own music with John Surman. A truly talented bunch. 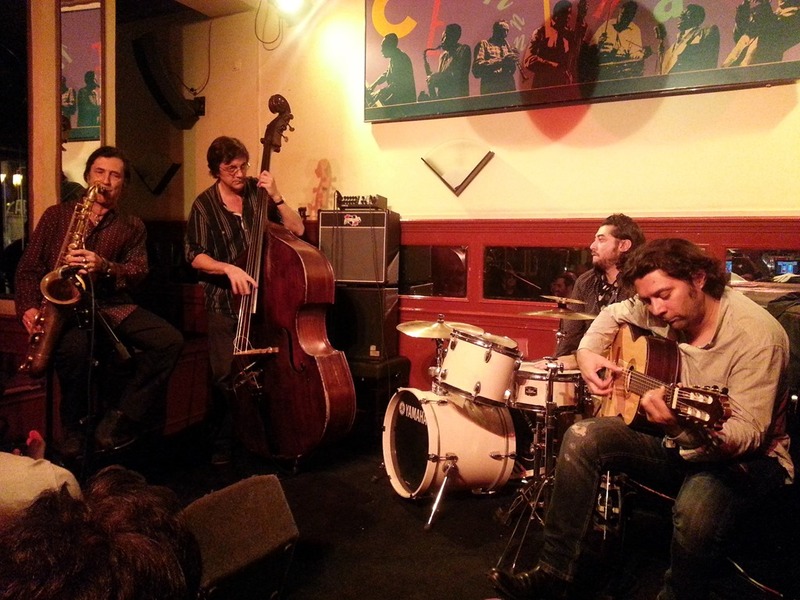 Back to the Cafe Central: 4 great musicians in one band – flamenco, jazz and other influences being mixed up into music performed in masterly fashion. Jorge Pardo, Javier Colina, Josemi Carmona and Bandolero (on a drum set – first time for me to see him on playing something else than the Cajon … faultless) were playing their own music and seemed to have a lot of fun. Sure, it was the first night of a weeklong series, but the artistry was fully there, the great improvisational skills and the beautiful sounds each of them can create on this instruments. Pardo on flute and saxophone, Josemi on his guitar and Colina on the bass. Four masters and a happy audience, including Josemi’s mother and his father, the great Pepe Habichuela. Tobias Preisig ‘Drifting’ – the new album by the talented Swiss violinist, here performing new compositions with his quartet featuring Stefan Aeby (p), Andre Pousaz (b) and Michi Stulz (dr). There are only few jazz violinists and Preisig is the rising star in that world – and the new album proofs that this is more than justified. Check it out. Polish singer Aga Zaryan is ‘Remembering Nina & Abbey’ on her third album and she is in best company to do so: Geri Allen, Brian Blade, Larry Koonse, Darek Oleszkiewicz and Carol Robbins are giving the support for this beautiful record, which features the great Abbey Lincoln’s amazing composition Bird Alone and other gems. A nice way to remember. bushman’s revenge new album is entitled ‘thou shalt boogie! and it is just as powerful as the previous recordings by this amazing trio of guitarist Even Helte Hermansen, bass player Rune Nergaard and drummer Gard Nilssen, who for this recording asked for the help of David Wallumrod on Hammond organ, clavinet and prophet 5. This is a cracker of a record – just go for it and play it loud!